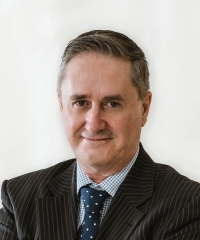 I am the founder of Ivanhoe International Pty Ltd, T/A Options21, providing education and advisory to high net worth individuals both retail and institutional. In 1993 I graduated from Curtin University in Western Australia with a Bachelor of Commerce. I started my career as a registered representative of the Sydney Futures Exchange, holding a number of senior positions in broking firms as a sell-side market analyst (Perth Commodities and Futures Brokers, and Australian Futures & Options Brokers in which I was a partner). When talking investment methodology I have developed a high level of competency using a top down method for analyzing financial markets. My primary approach is to build momentum based stock selection systems, then use inverse ETF or ETN’s to hedge risk. I start with forming a view of global markets basis the S&P 500, drilling down to a sector and industry level to identify the best stock investment opportunities. I quantify the comparative relative strength of all elements of my investment universe and compare performance against pre-determined benchmarks. My risk analysis entails monitoring Sharpe, Sortino, Calmar ratios and others. When trading I have three primary strategies. First I exploit the mean reversion characteristics of financial markets after market corrections. I identify trading opportunities during the US earnings season using both directional and non directional options strategies. Last of all I trade inverse volatility Exchange Traded Notes extracting positive roll yield from the term structure of VX futures. This is pure volatility trading based on movement of the VIX index. I am the responsible manager for the Australian Financial Services License (AFSL) No 247412, held by my company Ivanhoe International Pty Ltd, trading as Options21.